Small tree ideal for smaller gardens. Retains color even in hot weather. 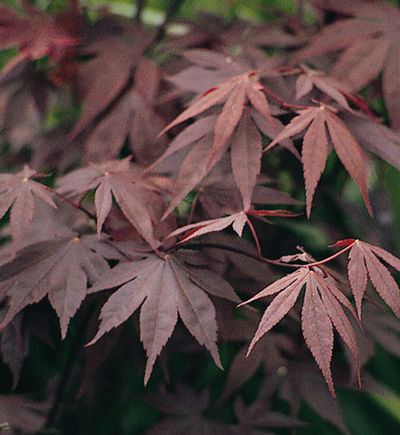 Mainly used as a single specimen; in landscapes the Japanese maple makes a striking display when used to line a driveway, along property lines or in groupings. When used in this way, the recommended spacing for this tree is 20 feet apart . Easily grown in average, medium, well-drained soil in full sun to part shade. Fertilize in spring with an all purpose fertilizer before new growth begins. Click on the "About Us" tab to find planting instructions.